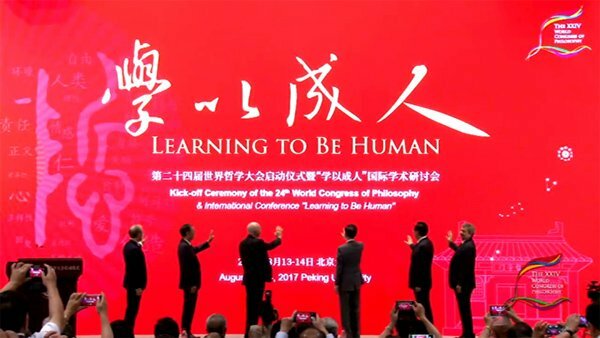 That’s one possible outcome of the recent Beijing World Congress of Philosophy, according to Dermot Moran (Boston College), a former president of the International Federation of Philosophical Societies (FISP), the organization responsible for the World Congresses of Philosophy. Moran is quoted in an article about the Congress that emphasizes its size and diversity. Held this past August, it had by some estimates 6,000 – 8,000 attendees and lasted five days. In a tweet about the Congress, John Symons (University of Kansas) noted the lack of coverage of it here, and hoped for conversation about it, given that it was “historically significant and problematic on a range of levels.” He didn’t further elaborate, but discussion of any aspect of the Congress is welcome in the comments.